On March 20, 2018, the Australian Dental Association launched a world-first initiative to tackle the precarious state of the Australian population’s oral health. 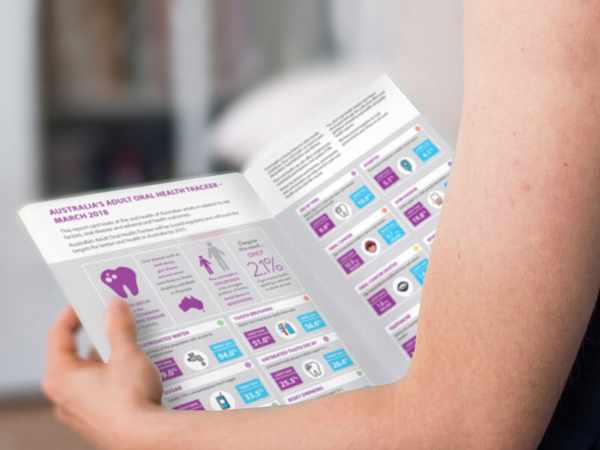 This tracker encourages everyone to improve the overall well-being of Australians. Australia’s oral health problem needs to get better! And, we need everyone to do what they can to improve their dental health and raise awareness about oral health in the community (and government). “The evidence shows that one-third of Australia’s five to six-year-olds have had decay in their baby teeth. 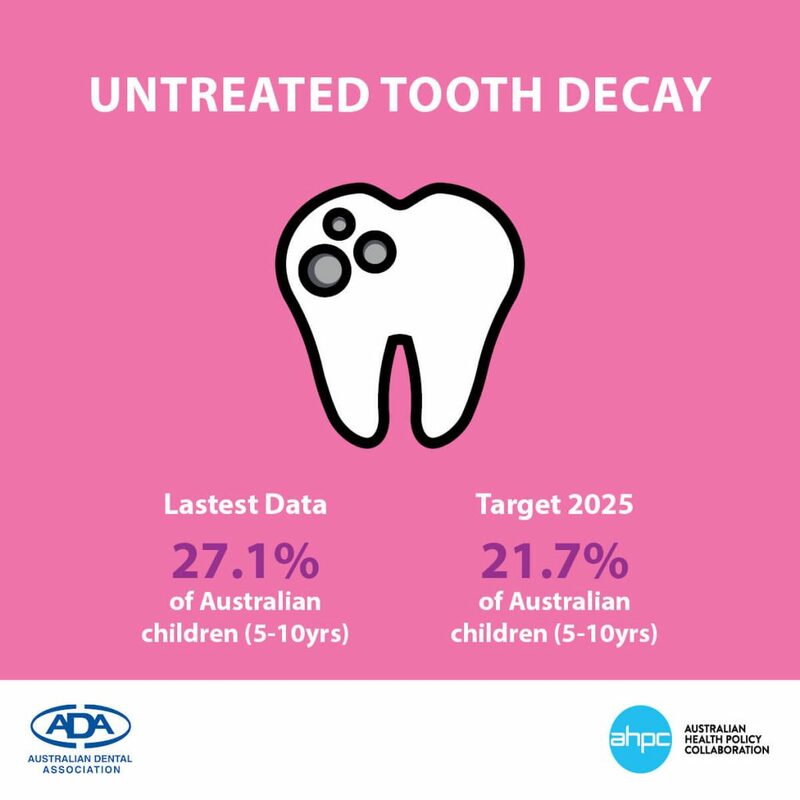 This is an unacceptably high rate and puts these children at risk of poor oral health in their development and adult years,” says Dr Hugo Sachs, ADA Federal President. The Oral Health Tracker (the Tracker) is a national report card that sets out to monitor our current national oral health status while encouraging everyone (especially our nation’s leaders) to work towards addressing our country’s oral health issues. As anyone in Australia with poor oral health will attest, poor oral health leads to myriad problems including pain, unwanted dental expenses and hospital visits, social isolation and a predisposition to acquiring preventable diseases such as diabetes. The Oral Health Tracker is aligned with the World Health Organisation Action Plan, which aims to reduce the burden of non-communicable diseases by 2025. 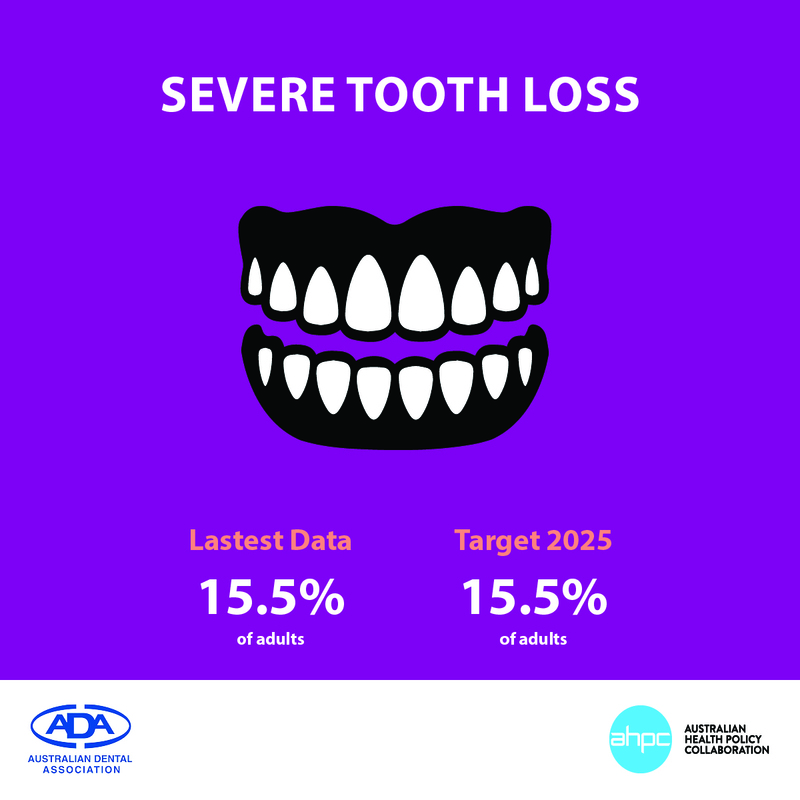 A series of illustrations and chart help to easily communicate our current status as well as targets required to chart the progress of Australians’ oral health until 2025. Overall, Australia’s oral health sets a target of a 10% reduction of children needing hospital care due to their dental health. Between 2015 to 2016, there were 67,266 potentially preventable hospitalisations for dental health problems. Approximately one-third of these hospitalisations came from kids under the age of nine. Below are some of the key messages in the campaign. Dental checkups – almost half of Australia’s adults have gone without in the last year. Look after your teeth – and your families. Remember, prevention is better than cure – and a lot less expensive.